Orlando, Fla. – Crossman & Company’s Research Analyst Jennifer Jackson has been promoted to Research Coordinator. 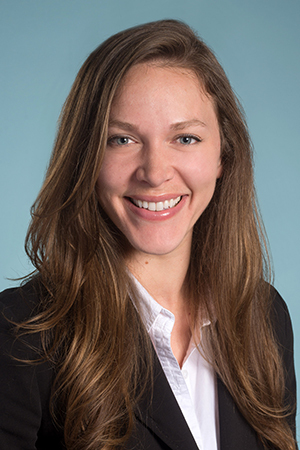 Jackson joined the Crossman & Company team in February 2014 and in this role she provides detailed research and data collection on some of the company’s high-profile projects. trends that are shaping the retail market and the tenants who are thriving or surviving in it. Jackson is a graduate of The Warrington College of Business Administration at the University of Florida. Her previous experience includes writing and publishing reports and newsletters for both the public and private sector. Crossman & Company is the premier real estate firm focused on serving retail landlords exclusively throughout the Southeast – with offices in Atlanta, Boca Raton and Orlando – representing more than 200 shopping centers in Florida, Georgia, Alabama, Tennessee, South Carolina and North Carolina. The company was founded in 1990 with the goal of providing exemplary service to our clients around four core values: Maintain enthusiastically satisfied clients; Demonstrate servant leadership; Practice kindness, openness and humility; and Develop new talent. For more information, visit the company’s website at www.crossmanco.com.